A committee of Harvard Law School faculty, students, alumni, and staff recommended Friday that the school abandon using the shield that has represented it for decades, after students decried its links to a slaveholding family last year. The decision comes after months of discussion and the formation of the special committee tasked with examining whether the shield’s reference to the Isaac Royall family was insensitive to the school community. The school has said the family owned and abused slaves. “We believe that if the Law School is to have an official symbol, it must more closely represent the values of the Law School, which the current shield does not,” the committee said in its report to the Harvard Corporation. Two members of the 12-member committee voted against the change. The Harvard Corporation is ultimately in charge of deciding whether the shield will be replaced. Martha Minow, dean of Harvard Law School, issued a memo after a special committee recommended retiring the school’s controversial seal. “The Harvard Corporation just received the recommendation from the Harvard Law School faculty committee late this week. It will review the recommendation and make a determination in due course,” said Jeff Neal, a Harvard University spokesman. Royall used his fortune to help establish Harvard’s first law professorship in the 18th century, according to the school. 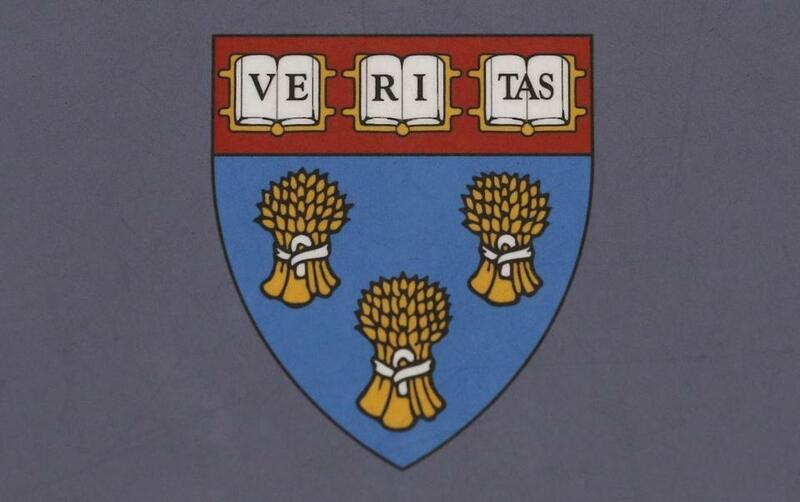 The symbol was first designed in 1936 by Pierre de Chaignonla Rose, to celebrate Harvard’s tricentennial. The image is widely used and appears on merchandise, and on the doors and stationery at the prestigious law school. The emblem first came under scrutiny in October by a group of Harvard Law students called Royall Must Fall. The group said that because the shield included elements drawn from a slaveholding family’s crest, it should be discarded in favor of a new image. Martha Minow, dean of the law school, in November assembled the special committee to research whether the shield should be discarded. Minow on Friday supported the committee’s 11-page report to the Harvard Corporation. “I endorse the recommendation to retire the shield because its association with slavery does not represent the values and aspirations of the Harvard Law School and because it has become a source of division rather than commonality in our community,” she wrote in a letter to the school community. Royall Must Fall members said in a statement that despite the step forward in their battle to tear down systemic racism, there’s more to be done.